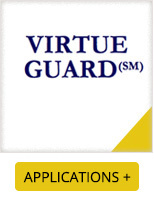 Our VIRTUE GUARD product will allow our Insured’s covered underground storage tanks to comply with Federal and State UST Environmental Financial Responsibility requirements. Defense coverage exists outside the limits of liability required for Underground Storage Tank Insurance. Liability from aboveground storage tanks or location specific environmental liabilities may also be transferred to this policy, under a completely separate limit of liability, which will not reduce the required coverage limit needed for UST compliance. Environmental coverage can be written over or around any State Environmental Fund and will not jeopardize any State’s environmental funding mechanism. This insurance product is worthy of consideration by any commercial property owner, including all petroleum marketers and non-marketers. Excess Environmental Liability coverage may also be offered above other qualified Insurance Companies for these exposures. Plus insureds have the advantage of purchasing an extended 36-month reporting period after the policy expires. 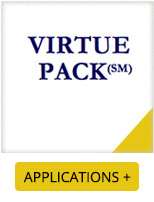 Our VIRTUE PACK product will allow any Environmental Service business (Contractor, Consultant or Engineer) to transfer a majority of their business risk to one insurance policy, including general liability, environmental, professional liability, and site pollution coverages. Supplemental coverages such as Contractual Liability, Emergency Expense, Crisis Management, Completed Operations, Transportation Pollution, Natural Resource Damages, Microbial Substances, Disposal Site Liability and Products Pollution, First Dollar Defense, and Defense Outside of Limits Coverages are also offered as coverages to this package policy. These and other supplemental coverages offered under each coverage part and are more robust than ever, which is why this package product is more popular now than ever. Our product also has many built in features such as automatic additional insured, waiver of subrogation and primary non-contributory coverages, as required by written contract. This product can also be used to satisfy contractor pollution coverage requirements, on a project specific basis. Excess Environmental Liability coverage may also be offered over our primary coverage AND on a mono-line basis, above other qualified Insurance Companies for these exposures.